If you’re about to visit Dubai (aka the shopping capital of the Middle East), you’re in for a treat. 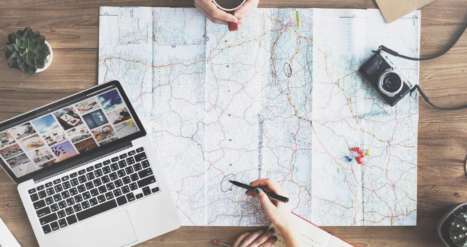 Here’s a list of places you NEED to visit to make the most of your trip. Shopping Malls are visited largely for designer brands and are stylized according to malls in the western countries. Souks are great places if you are looking for gold, clothes and electronic items while shopping areas will provide you the same items at a bargained price. 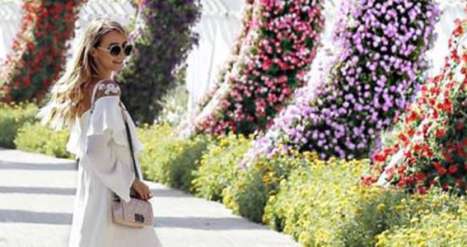 A tourist hotspot, Mall of the Emirates features around 630 international brands including department stores, fashion, lifestyle, sports, electronics, home furnishing outlets, and the largest Carrefour in the city. The ongoing sales will satisfy your every shopping need, and your children will be kept entertained at Magic Planet or Ski Dubai -the Middle East’s first indoor ski resort and snow park! Tip: wear comfy shoes – you’ll be walking a lot. The best part? It’s a 2 minute walk from Citymax Hotel Al Barsha! 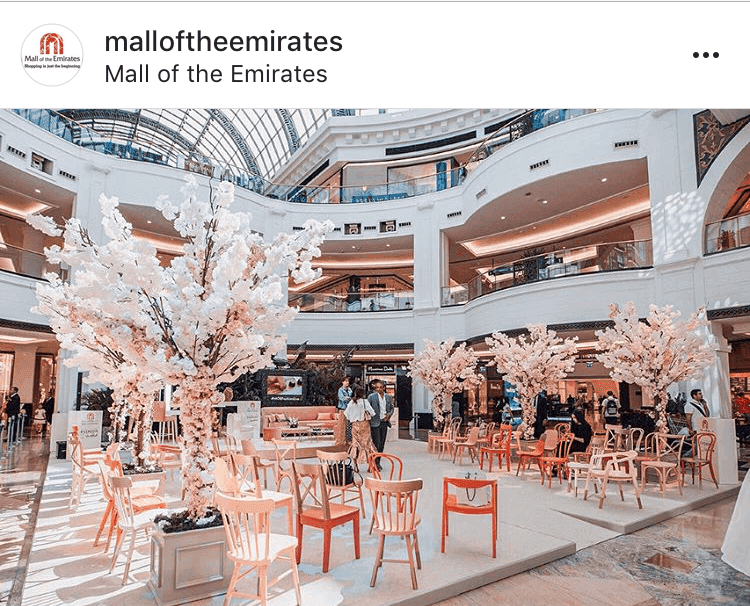 If you’re staying further away, you can get to Mall of the Emirates via the Dubai Metro station connected to the mall! Dubai Gold Souk or Gold Souk, is a traditional market in Dubai, UAE. The souk is located in Dubai’s commercial business district in Deira, in the locality of Al Dhagaya. The souk consists of over 300 retailers, most of whom are jewellery traders. This is the place to be if you want to get away from the glitz and glam, and experience the authentic old Dubai. Deiras souks (markets) are bustling with shoppers getting great deals on gold (after some haggling). The Souk is easily accessible – just a 9 minute ride from Citymax Hotel Bur Dubai. If you’re using the Dubai Metro, it’s an 8 minute walk from Al Ras metro station. 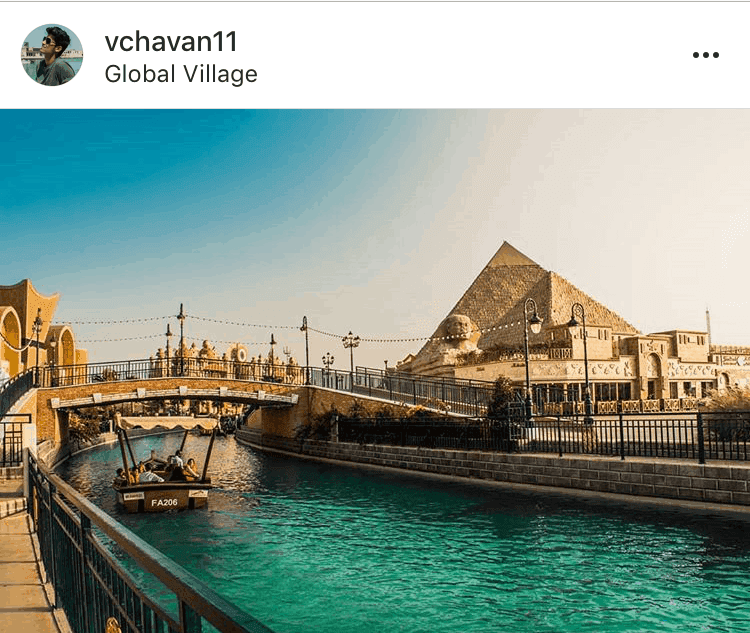 If you’ve visiting Dubai between November and April, you need to experience Global Village, a unique cultural attraction and shopping experience with 30 pavilions each representing a different country. Marvel at fireworks, savour delicious cuisines and enjoy thrilling rides at this melting pot of cultures. There is no metro station that takes you to Global Village, but it’s only a 20 minute ride from Citymax Hotel Al Barsha. Global Village is located at Exit 37, Sheikh Mohammed Bin Zayed Road. If you’re looking for traditional textiles, jewellery and spices, this is the place to come to. Located in Bur Dubai, Meena Bazaar transports you to the past with colourful shops and views of the Dubai Creek. Meena Bazaar was originally called Cosmos Lane, but taxi drivers in Dubai began calling it Meena Bazaar since the well-dressed mannequins of the textile stores on Al Fahidi street resembled Delhi’s Meena Bazaar. In the 1970s, a shop in Bur Dubai changed its name from Shardha Trading to Meena Bazaar, and the title caught on from there. The first jewellery shop in Meena Bazaar area opened in 1982 after several gold stores from Deira Gold Souq moved to the area for cheaper rents. Today the Meena Bazaar shopping area is full of diamond and gold shops where you can buy jewelry at half price. 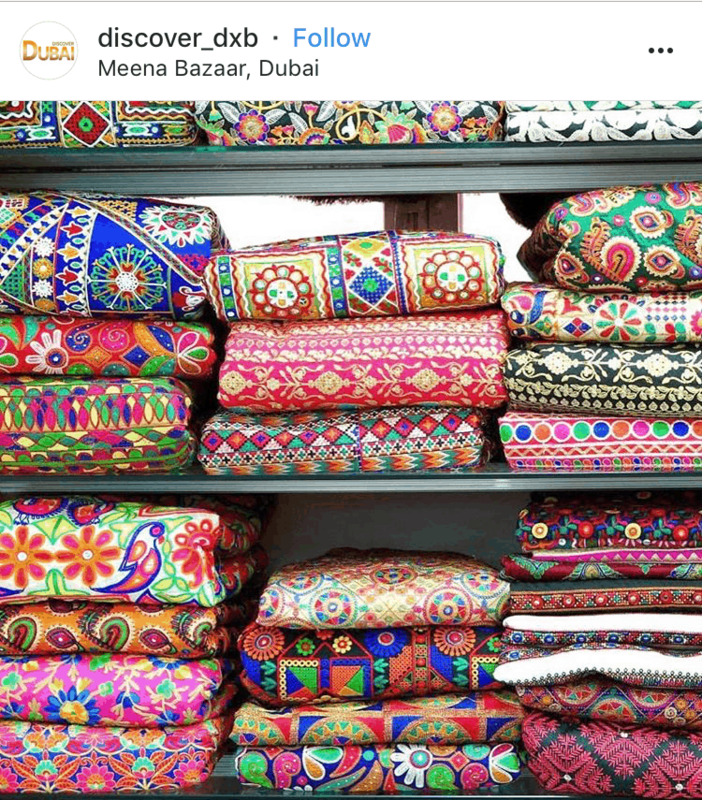 Meena Bazaar gives a unique shopping experiences in Dubai. Haggling is a norm here and visitors can be seen asking for less then half the prices offered by the seller. Shopping can get exhausting, but there are loads of restaurants in Bur Dubai where you can fuel up with some delicious food and chai. Shopping for clothes and jewelry is great, but have you considered buying organic fruits and vegetables? 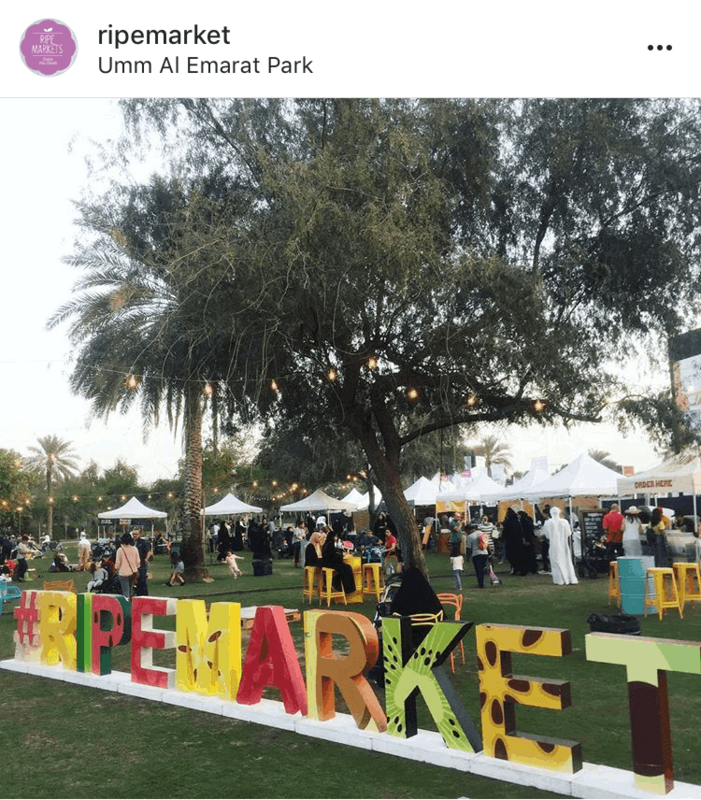 The Ripe Markets run across various locations in Dubai and Abu Dhabi and focus on bringing the community together in a fun, social way. 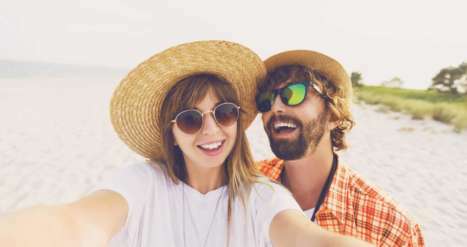 The Ripe Market is a community event that supports local businesses, giving them a platform to sell to residents and tourists that are visiting. Check out Ripe Market’s organic fruits and vegetables, along with juices, superfoods, live cooking stalls, arts, crafts, fashion, jewelry, fitness workshops and children’s activities. Visit ripeme.com/the-ripe-markets/ to see when and where the next Ripe Market is! Located in the heart of Downtown Dubai, described as ‘The Centre of Now,’ is The Dubai Mall – the world’s largest and most-visited retail and entertainment destination. 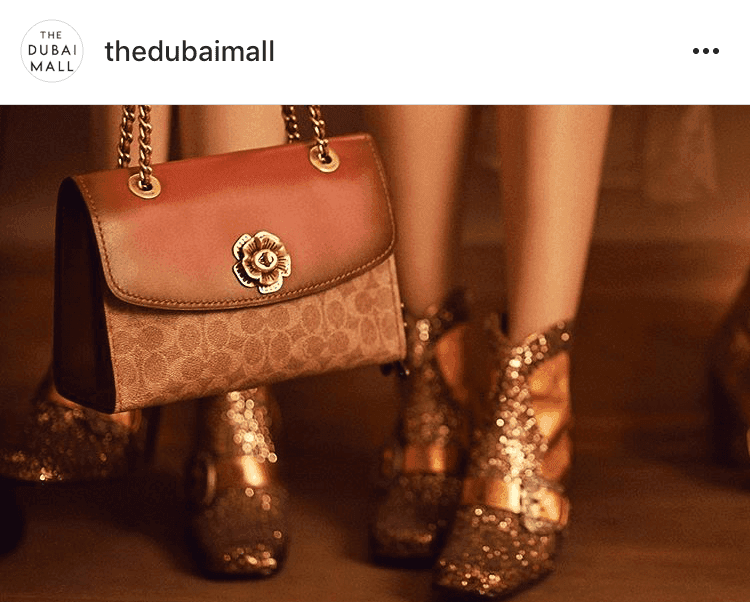 The Dubai Mall has over 1,200 retail outlets including two anchor department stores – Galeries Lafayette and Bloomingdale’s – and over 200 food and beverage outlets. The mall offers an unparalleled retail mix combined with world-class dining, entertainment and leisure attractions. The Dubai Mall features the world-class Dubai Aquarium & Underwater Zoo featuring thousands of aquatic animals and a 270-degree walkthrough tunnel. The strong family entertainment components include KidZania, an innovative children’s ‘edutainment’ concept; the 22-screen Reel Cinemas megaplex with a total capacity of 2,800 seats; and the Olympic-sized Dubai Ice Rink. Getting to The Dubai Mall is easy via the Dubai Metro. The nearest station is the Burj Khalifa/The Dubai Mall station.